Making the perfect bottle of wine. Amanda Woods meets the punk rock surfer who is making waves in the wine world. As we step into the Ochota Barrels cellar to the sounds of The Cure’s Early BBC Sessions on an old record player I wonder if music affects wine the way it supposedly affects plants. If so, is vinyl better? And what about acoustic sessions held on the guitar propped up against the wall? 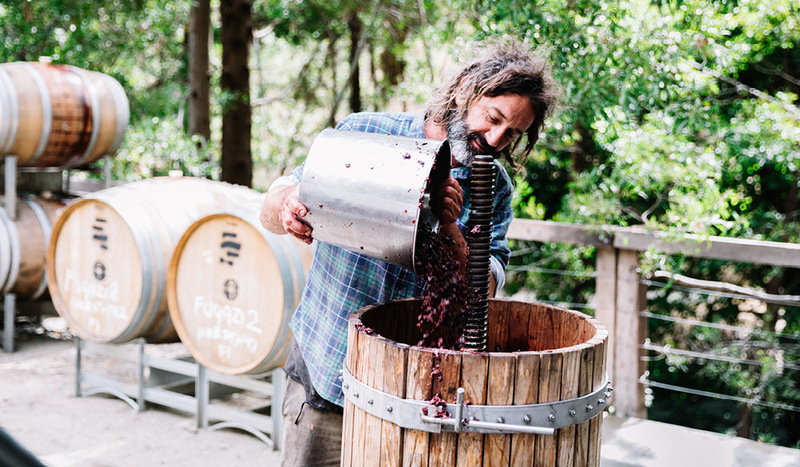 It’s clear that both music and wine run through Taras Ochota’s veins as he moves through the barrels, smiling as he siphons out glasses of wine for us to try that are named after bands and songs he loves, including a Fugazi Grenache and the She’s Lost Control Adelaide Hills Fragola. After spending his youth playing bass in punk bands, touring Australia and taking to the stage at the Big Day Out, Taras studied oenology, the science of wine, at Adelaide University and went on to work with winemakers around the world. The idea to open his own winery with wife Amber was conceived during a surf trip along the Mexican west coast in 2000. Taras says he wanted to focus on organic farming and making wine with none of the nasties and all of the love. He also avoids looking at what other wineries are doing, preferring to take his inspiration from Mother Nature. Rather than the usual cellar door, the Ochota Barrels website has a ‘Cellar door….ish’ link that leads guests to Lost in a Forest. Named after a song by The Cure, this wood oven wine lounge in the small Adelaide Hills town of Uraidla has been built in the town’s old chapel, where the original stained glass windows just happen to include images of wine glasses. While local foodies have been onto Lost in a Forest for a while now, when Marco Pierre White told the Tasting Australia festival crowds that the pizza there is better than he’s had in Italy, it appeared on more radars around the world. “You have to book two weeks ahead now.” Taras says with the smile of someone who has been happily surprised. “It’s somehow organically morphed into this cool family-friendly place where people also come on romantic dates, or where a group of girls might have a birthday party. In the nearby village of Crafers, Taras introduces us to more great wine at the Crafers Hotel, where the cellar is well stocked with local growers and Old World names including Mouton Rothschild and Lafite. 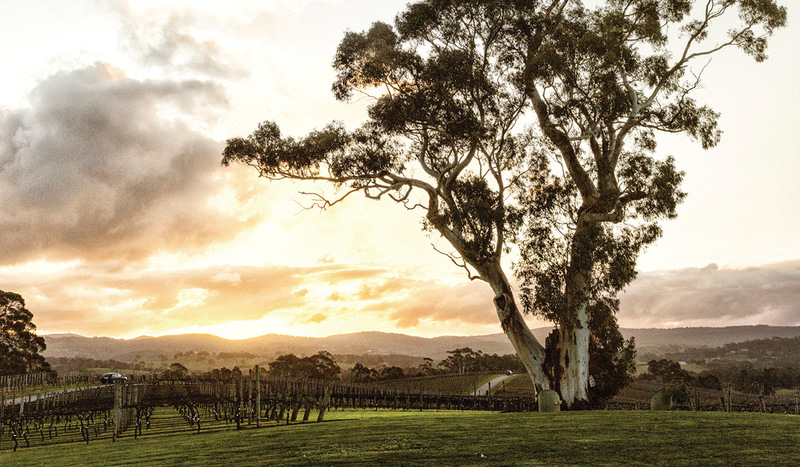 As well as being a top spot for wine and delicious pub fare the Crafers Hotel has some of the best accommodation in the Adelaide Hills. The beautifully renovated 1830s rooms all feature high ceilings and luxurious wool carpets, while the Deluxe rooms also offer fireplaces, large bathtubs and French doors onto balconies. When I ask Taras about the future he admits he’s planning to go against expectations. As Ochota Barrels usually sells out within a couple of weeks of their releases, Taras says any sensible businessperson would expand. 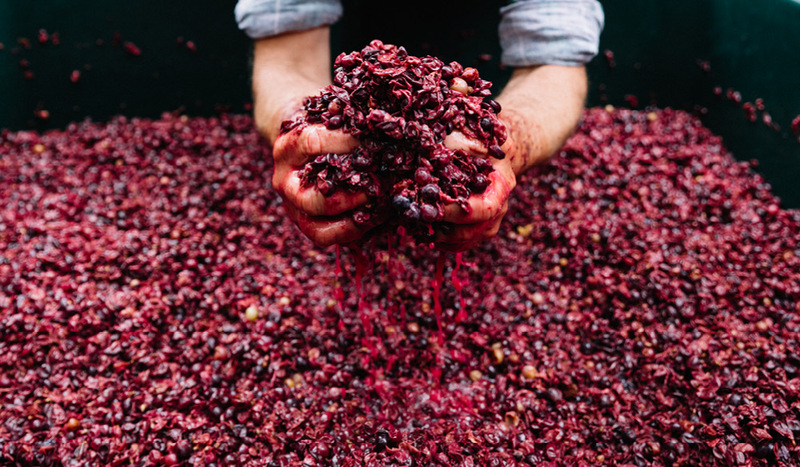 “But I don’t want to lose sight of the reason we started, and that was to make absolutely pristine beautiful wines where I’m intimate with every barrel and every little process. Music to the ears of this wine lover and, I’m sure, many more.